Additionally, some short recommendations can be given for participation of local developer in shares. Definitely, project depends on a number of parameters, and we ask more that 25 questions related to project in our Project Questionnaire form. Please fill it out and we will establish a contact with you sending the invoice. No more than 3-5 business days are needed to complete and verify calculations. To know the real project efficiency, we consider such parameters as inflation rates, cost of money, structure of funding, method of credit amortization and many others. We provide some internal checks, calculate yearly Debt Service Coverage Ratios and Loan Life Coverage Ratios for banks. We can also consider some non-standard approaches like combined credit from 2-3 banks taken on different conditions and interest rates. Or, sculpture debt repayment profile can be implemented. 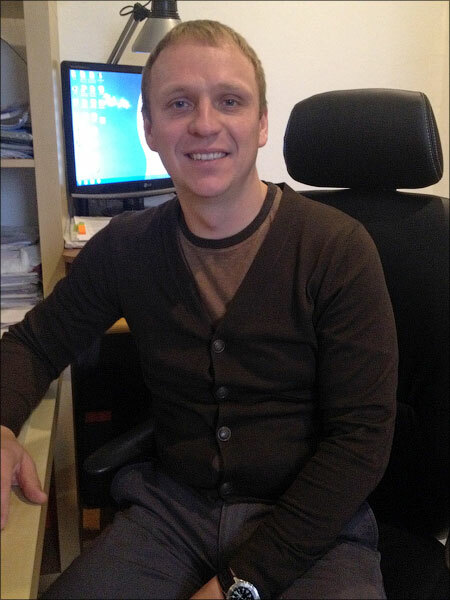 Some times it is needed to attract working capital. All of these custom cases is subject of additional negotiations and time. Rally racing. Speed, technical excellence, competition, significant investments. Quite close to development of alternative energy sector, isn’t it? That is why Waste to Energy International (WTEI) chose rally racing as a sport discipline to support. 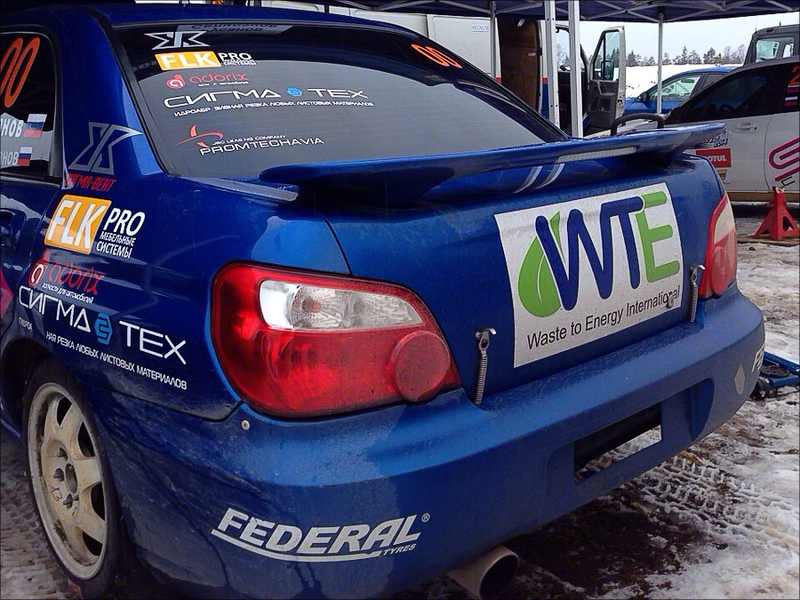 In Russian national championship, we provide support to a team driving Subaru WRX STi. Two cars homologated according to international production class N4 and Russian national 4000H taking part in Russian Rally Championship and Russian Rally Cup. Do you know how many factors an investor worries about? Cost of the plant, feed-in-tariff, tipping fee? Yes. What else? 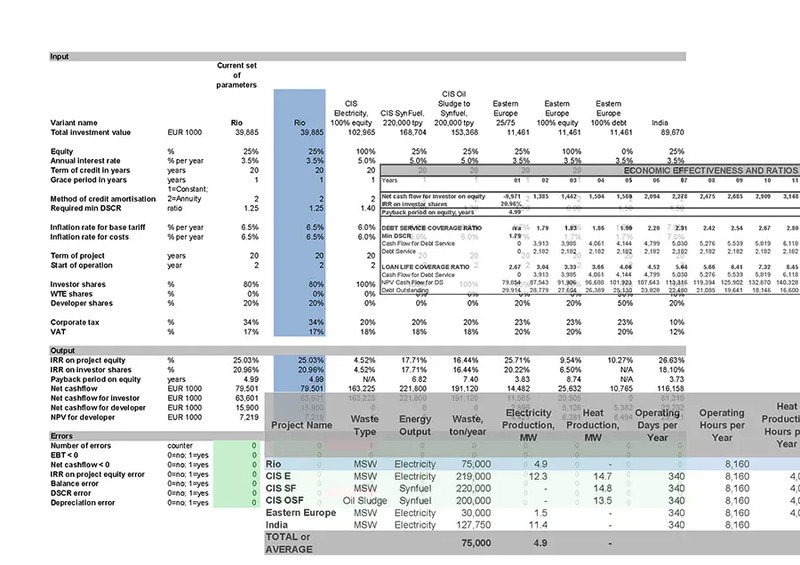 Operating costs, terms of credit, debt/equity ratio? Right. But actually the standard set of parameters which has a vital influence on the project is over 50, and each has to be included into good financial model. The common problem of many models is non-flexibility, when developer has to check every instance of modified parameter and even change formulae in Excel, which is most used instrument for such kind of calculations. Such approach leads to critical mistakes and hours of non-productive job. 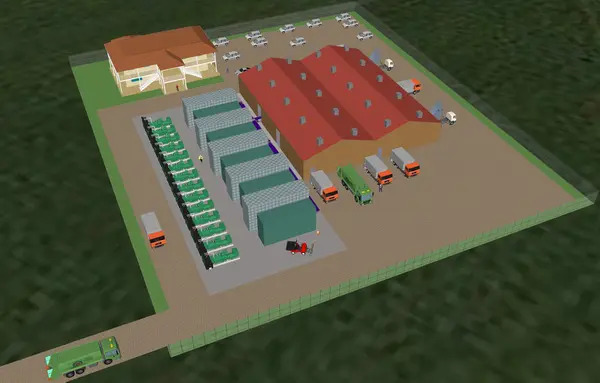 Waste to Energy International (WTEI) has developed three very flexible financial models: for waste-to-energy plants, wind and solar power stations. Every model has a set of specific parameters; for waste-to-energy plants there are over 50 of them. Each parameter has to be entered only once, what allows to play what-if-scenarios instantly. Now variants with different debt/equity ratio, share structure, inflation index, etc. can be checked in a minutes. Financial model analysis is offered by WTEI as integral part of feasibility study or as separate assessment ordered by client. 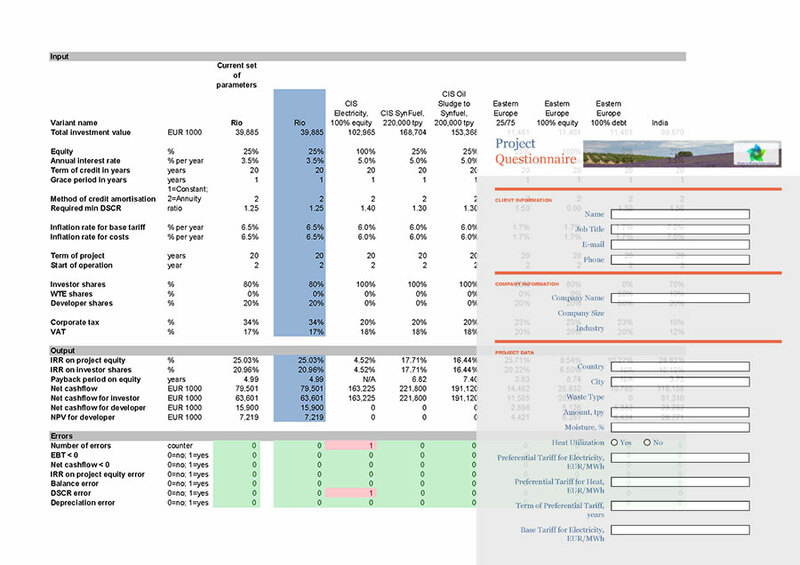 More information can be found on the Financial Model page. Following the modern tendencies of representing information and aiding the goal to inform clients and customers thoroughly, Waste to Energy International OÜ creates 3D-models of plants to be constructed. Models are bound to the exact geo-location and shows the main stages of utilization process. Garbage trucks unload municipal solid waste into bunker, sorting station selects non-combustible components, transporters feed pyrolysis machines, gensets produce electricity. Territory design with office and control room, inner roads and car parking slots are shown. Real dimensions are used basing on the design project. Working 3D model of a sample 130,000 ton per year of municipal solid waste (MSW) plant can be found on our 3D Model of WTE Plant page. The individual 3D model of the plant can be provided as a part of feasibility study or ordered by customer separately. Our design team will be happy to express your imagination in the outstanding 3D model of your plant!